If you are considering Thailand as a travel destination or a retirement destination then lets look at what type of Thai visa you will require for your stay. This is a brief overview of the visas available. If you are going on holiday the best visa for this purpose is a tourist visa for Thailand. This visa only requires a passport photo and a form which needs to be completed and handed in at the Thai embassy in the country you are located. The visa is valid for 2 months or 60 days once you enter Thailand. The tourist visa in Thailand can also be extended at Thai immigration for a fee of 1,900 Baht and this will allow you to stay on for a further 30 days. The next visa is a marriage visa or a “O” visa which is allocated to those who are married to a Thai national. For this visa you require a copy of your wifes ‘house papers’, id card and/or passport, marriage certificate and a form which needs to be completed. This visa can also be obtained at any Thai embassy however you need to apply for this where you are located. Some embassies also allow multiple entry marriage visas which allows you more than 3 months stay in Thailand. The multiple entry visas are usually for 1 year. This 1 year visa needs to be activated 4 times by leaving the country every 3 months to activate the next leg of the visa. In short it is a 1 year visa and each of the 4 legs is valid for 3 months. 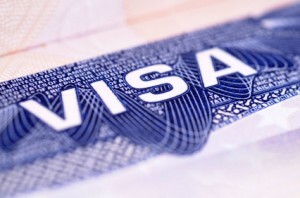 The other visa which is the business visa needs a letter from a company in Thailand. This allows you to look for work while in Thailand and to apply for a work permit when you do obtain employment. Most of these tend to be single entry visasand vaild for 3 months only. Multiple entry visas are avaiable however you would need a good reason to obtain a 1 year business visa. Depending on what you wish to do in Thailand, be it a holiday, employment or simply visiting the in-laws, speak to us at Siam Legal for all the options available to you. Speak to us online, via our tollfree US and UK numbers or simply walk into any of our offices in Thailand. Do it now!